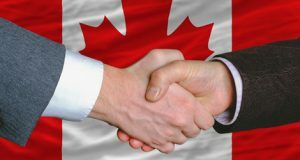 The Canadian government has launched ‘Immigration Investor Program’ which is designed for those willing to do noteworthy investments in the Canadian economy. In brief, it’s an open path for those who want to have absolute and hassle free entry into Canada via the investment route. You can acquire a quick and easy entry into Canada through this program only if you meet their immigration requirements. For an ordinary person, it’s not easy to understand the complexities involved in immigration laws. Thus, you are advised to seek assistance from professional lawyers who help you in completing your documents. You can consult our immigration lawyers, who are experienced and well-versed in various aspects of the Canada investor program. Must have managed an equity interest or at least 5 full-time employees in a leading business for 2 years of the past 5 years. Minimum $1,600,000.00 (Canadian funds) earned by lawful means. Deposit $800,000.00 (Canadian funds) immigration with Canadian government for acceptance a period of 62 months. Immigration Investor Program consists of 4 major processes that an applicant must surpass to become eligible for the program. Some processes are managed by the applicant. However, some others would require due assistance of immigration lawyers as they are better executed through a power of attorney. The processes go step-by-step and you need to make sure the previous processes are successfully completed for overall success. It is a simple customary step which requires the applicant to complete the documents and submit the application along with the fees. The immigration authority would provide you confirmation letter defining your file number. In this process, you would be asked to surrender some crucial documents including personal details, medical statements, criminal record (if any) and so on. Applicants can also be called over for a personal interview. Once you successfully complete this process, you are granted a Conditional Acceptance. Conditional Acceptance subjects the applicant to submit their predefined financial investment. They are provided some investment options through that they can submit the committed funds. Our legal advisors would make sure that the funds are transferred to Canadian Immigration in a timely and proper fashion. After receiving the funds, Canadian Immigration will issue a Permanent Residency Visa. You need to deposit complete payment soon after landing in Canada. Now, you and your immediate family can proudly call yourselves Permanent Residents of Canada. If you are looking forward to immigrating to Canada, the Immigration Investor Program can surely help you. You can contact our certified and experienced immigration lawyers in Ludhiana to guide you through the numerous aspects and processes involved in this program. Contact our Canada immigration lawyer in India for detailed information.